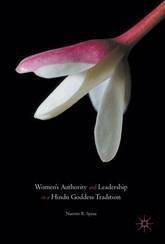 This book investigates women's ritual authority and the common boundaries between religion and notions of gender, ethnicity, and identity. Nanette R. Spina situates her study within the transnational Melmaruvathur Adhiparasakthi movement established by the Tamil Indian guru, Bangaru Adigalar. One of the most prominent, defining elements of this tradition is that women are privileged with positions of leadership and ritual authority. This represents an extraordinary shift from orthodox tradition in which religious authority has been the exclusive domain of male Brahmin priests. 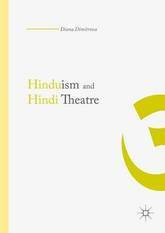 Presenting historical and contemporary perspectives on the transnational Adhiparasakthi organization, Spina analyzes women's roles and means of expression within the tradition. The book takes a close look at the Adhiparasakthi society in Toronto, Canada (a Hindu community in both its transnational and diasporic dimensions), and how this Canadian temple has both shaped and demonstrated their own diasporic Hindu identity. 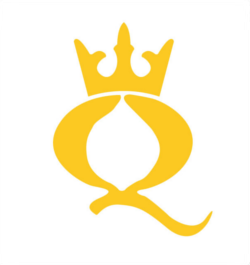 The Toronto Adhiparasakthi society illustrates how Goddess theology, women's ritual authority, and inclusivity ethics have dynamically shaped the identity of this prominent movement overseas. Based on years of ethnographic fieldwork, the volume draws the reader into the rich textures of culture, community, and ritual life with the Goddess. 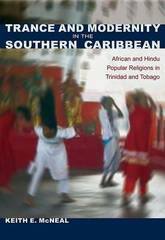 This comparative study of African and Hindu popular religions in the Republic of Trinidad and Tobago charts the development of religion in the Caribbean by analyzing the ways ecstatic forms of worship, enacted through trance performance and spirit mediumship, have adapted to capitalism and reconfigured themselves within the context of modernity. Showing how diasporic traditions of West African Orisha Worship and South Asian Shakti Puja converged in their ritual adaptations to colonialism in the West Indies, as well as diverged politically within the context of postcolonial multiculturalism, Keith McNeal reveals the unexpected ways these traditions of trance performance have become both globalized and modernized. The first book-length work to compare and contrast Afro- and Indo-Caribbean materials in a systematic and multidimensional manner, this volume makes fresh and innovative contributions to anthropology, religious studies, and the historiography of modernity. By giving both religious subcultures and their intersections equal attention, McNeal offers a richly textured account of southern Caribbean cultural history and pursues important questions about the history and future of religion. 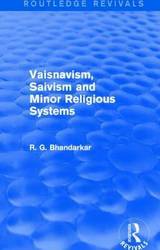 Bhandarkar's Vaisnavism, Saivism and Minor Religious Systems, first published in 1913, explores the origins of Vaishnavism by examining its sources of religion, aspects of the Mahabharata, and the Cult of Rama. Bhandarkar also discusses Saivism by exploring its origin and development. This text is ideal for students of theology. 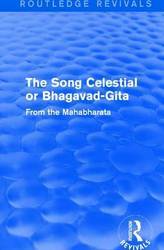 First published in 1909, this book presents an English translation of chapters 25-42 of the Bhishma Parva from the epic Sanskrit poem Mahabharata - better known as the Bhagavad-Gita, reckoned as one of the Five Jewels of Devanagari literature. The plot consists of a dialogue between Prince Arjuna and Krishna, the Supreme Deity, in a war-chariot prior to a great battle. The conversation that takes place unfolds a philosophical system which remains the prevailing Brahmanic belief, blending the doctrines of Kapila, Patanjali, and the Vedas. Building on a number of preceding translations, this highly-regarded poetic interpretation provides a major work of literature in an accessible popular form. 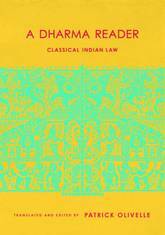 The Ramayana of Valmiki is considered by many contemporary Hindus to be a foundational religious text. 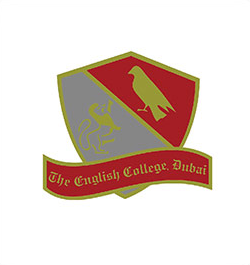 But this understanding is in part the result of a transformation of the epic's receptive history, a hermeneutic project which challenged one characterization of the genre of the text, as a work of literary culture, and replaced it with another, as a work of remembered tradition. 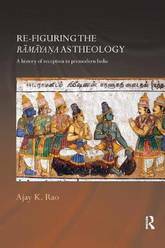 This book examines Ramayana commentaries, poetic retellings, and praise-poems produced by intellectuals within the Srivaisnava order of South India from 1250 to 1600 and shows how these intellectuals reconceptualized Rama's story through the lens of their devotional metaphysics. Srivaisnavas applied innovative interpretive techniques to the Ramayana, including allegorical reading, slesa reading (reading a verse as a double entendre), and the application of vernacular performance techniques such as word play, improvisation, repetition, and novel forms of citation. 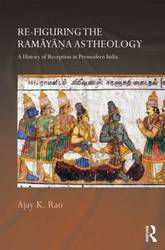 The book is of interest not only to Ramayana specialists but also to those engaged with Indian intellectual history, literary studies, and the history of religions. In 1839 a group of Hindu elite gathered in Calcutta to share and propagate their faith in a non-idolatrous form of worship. The group, known as the Tattvabodhin Sabh, met weekly to worship and hear discourses from members on ways to promote a rational and morally responsible mode of worship. They called upon ancient sources of Hindu spirituality to guide them in developing a modern form of theism they referred to as Vedanta. 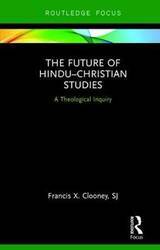 In this book, Brian Hatcher situates the theology and moral vision set forth in these hitherto unknown discourses against the backdrop of religious and social change in early colonial Calcutta. In doing so, he demonstrates how the theology of the Tattvabodhin Sabh legitimated the worldly interests of Calcutta's emergent bourgeoisie. 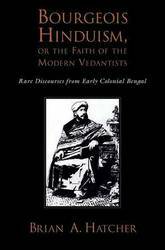 This 'bourgeois Vedanta' sanctioned material prosperity while providing members with a means of spiritual fulfillment. Hatcher's important study includes the first ever complete, annotated translation of Sabhyadiger vaktrta, the earliest extant record of the Tattvabodhin Sabh. The translation is supplemented with a detailed analysis of the text demonstrating that its twenty-one unsigned discourses were composed by such major figures in nineteenth-century Bengal as Debendranath Tagore, Isvaracandra Vidyasagara, Isvaracandra Gupta, and Aksayakumara Datta. In many cases, these are the earliest known writings we have for such individuals. 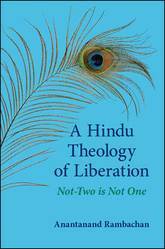 This rare set of discourses provides Hatcher with an opportunity to explore a decisive moment in the construction of modern Vedanta, and to comment on the concerns this Vedantic movement raised for contemporary Christian observers. Hatcher is able to demonstrate the decisive role played by the Tattvabodhin Sabha in both reviving and reformulating the teachings of Rammohan Roy, the founder of Vedantic reform in colonial India. At the same time, Hatcher suggests that the earliest members of the Sabha are best viewed as 'Brhamos without Rammohan.'  Only later would they look to Rammohan as their founding father. Apart from bringing to light the guiding ideals of an association that was to have a profound influence on religious and intellectual life in nineteenth-century Bengal, Hatcher's analysis will promote reflection on a variety of topics central to understanding the development of modern forms of Hindu belief and practice.